Welcome to the world's largest selection of Marilynn Mason artwork. We offer a great selection of prints available in different sizes and themes including her latest releases and original paintings for sale. Prints are available in both open editions and numbered limited editions. 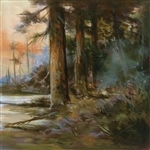 Most Marilynn Mason prints are canvas reproductions, however, you'll also find lower-cost framed paper editions as well. We also carry unique triptychs available as a three piece set or individually. Like to invest in an original Marilynn Mason painting? From time to time we have original paintings available for purchase. Call us for more information. Enjoy your browsing and shopping. Let us know if you have any questions, we're here to help. Notice the little green trucks? That means FREE SHIPPING! Born in the great Northwest United States, Marilynn Dwyer-Mason began drawing at an early age. Working as a commercial artist, illustrator and portrait painter, Marilynn is very talented and proficient in oil, acrylics, watercolor, pastel, ink and oil and pen. 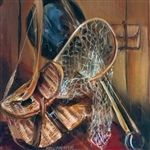 She has exhibited throughout the U.S. and is represented in private collections and galleries. Marilynn's artwork is influenced by the work of Philip Goodwin, John Singer Sargeant and Oliver Kemp. Her paintings of outdoor adventures depict nostalgia described as "magical western realism". Marilynn Dwyer-Mason paints from her vivid imagination and creates colorful visions of the American west. Marilynn's brush work is precise, but yet joyfully loose. 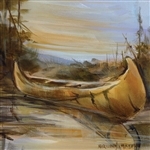 GicleeArt.com offers the world's largest selection of Marilynn Dwyer-Mason art prints. Canvas and paper reproductions are available in open and limited editions. All canvas prints are the finest giclée prints available- each created with archival inks and stretched over wooden bars. Limited edtions are numbered. Custom rustic birch bark frames are an available option.